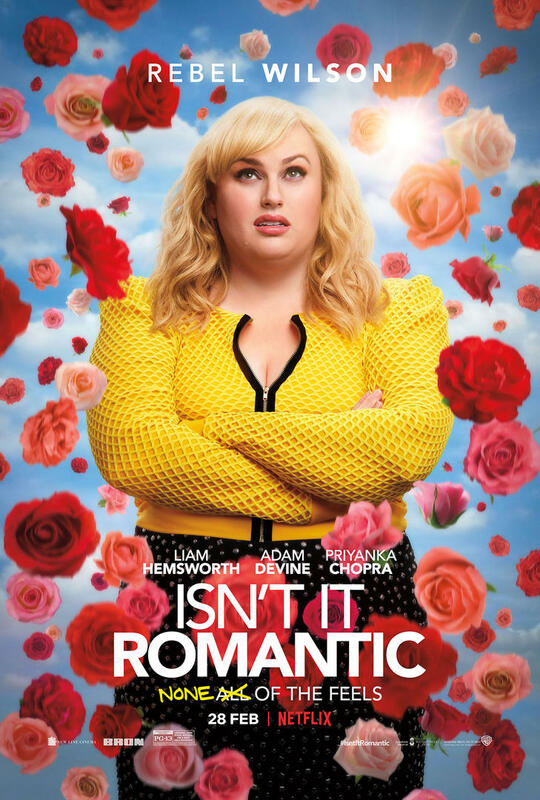 Isn’t it Romantic starring Rebel Wilson and Priyanka Chopra releasing Outside North America on Netflix February 28th! Set for a perfect Valentines date, the theatrical release in North America for Isn’t It Romantic is set for February 13th! However, we have some more exciting news! This cool rom-com with a twist, which stars Rebel Wilson and Priyanka Chopra will launch on 28 February in all Netflix territories outside of the US & Canada. The film’s tells the story if New York City architect Natalie (Rebel Wilson) who works hard to get noticed at her job but is more likely to be asked to deliver coffee and bagels than to design the city’s next skyscraper. And if things weren’t bad enough, Natalie, a lifelong cynic when it comes to love, has an encounter with a mugger that renders her unconscious, waking to discover that her life has suddenly become her worst nightmare—a romantic comedy—and she is the leading lady.